Northside Professional Center, on Johnson Ferry Road in Atlanta, provides children and teenagers with specialty care, including, general and plastic surgeries and craniofacial visits. This location is part of the Children's Physician Group. Parking is available in the parking deck across from the building. There is a fee for parking. The attendant accepts cash and credit cards. A department of Children's at Scottish Rite hospital. The Center for Safe and Healthy Children is a child advocacy center that provides medical examinations for children and teenagers who have symptoms or behaviors of suspected physical or sexual abuse. Our office is located in Suite 340. Clinic visits are by appointment only. 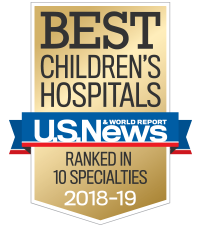 The Children's Physician Group plastic surgery team provides comprehensive care, including the evaluation, diagnosis, management and treatment of children with a variety of conditions such as birth marks, ear deformities, facial fractures, and cleft lip and palate.